Making the choice to join a fraternity or sorority is not only a social commitment, but a financial one. Shane Wernke, Tau Kappa Epsilon president said the experience of being Greek is priceless. 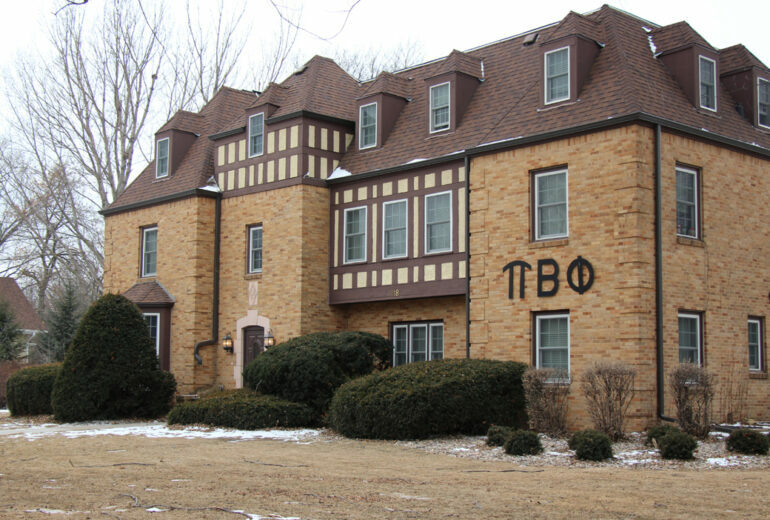 Initiation fees for Tau Kappa Epsilon are $215, living in the house costs $1,100 and the social fee is $350. For members who cannot afford the fees, Wernke said a payment plan can be set up, among other options. Wernke said the additional costs, such as Spring Break trips, are social choices that depend on the member’s lifestyle. Phi Delta Theta’s initiation fees and package vary by when members join. In the fall, the fee is $250. In spring, the $400 fee contains both an initiation fee and other fees. If a member lives in the house, membership and the housing fee is $2,800. If a member does not live in the house, the social fee is $450. Phi Delta Theta president Michael Bruning said the benefits from being in the fraternity, have made the Greek experience worth the price. Bruning said many events, such as a dinner between mentor members and newer members are covered in the social fee. Other dinners, such as weekly dinners outside the house, are optional. “A lot of guys will go out of their way to treat (little brothers) to dinner,” Bruning said. Because Greek costs are billed through the university, financial aid can be used toward housing costs and membership fees. Sophomore Shannon Janisek is a member of Pi Beta Phi. Janisek said she made the decision to live in the sorority house because it is cheaper than on-campus housing. Janisek said members are not required to buy Pi Beta Phi clothing, but she has bought about 10 shirts. “I love clothes, and I love shirts, and I love Pi Phi,” Janisek said. Prices on Greek themed clothing vary depending on the type and designer of the shirt. Sophomore Bailey Johnson, also a member of Pi Beta Phi, has about 15 shirts and sweatshirts. Johnson said her shirts averaged $10-15 and sweatshirts are around $20-25. Alpha Phi member, sophomore Bridget Wilds, is new to Greek life. She plans on living in the Alpha Phi house next fall. Wilds said she buys Alpha Phi merchandise to show her pride. Additional costs, Wilds said, are optional. “I haven’t been pressured to spend money,” Wilds said.